Room was comfortable as usual, we had the grandkids with us and they had a great time, especially going for breakfast in the morning and having fresh scrambled eggs from a chef made to order, they are 5 and 3 yrs old. Staff were great as was the service. The bed, the shower, the ladies at the front desk, love being able to go to lobby and enjoy a really great breakfast at the classic grill, location of the property for our needs, pay per view on in every room, and it's quiet in the room when you are trying to get sleeping. Large room with nice work area if required and really comfortable beds. The location is very good. 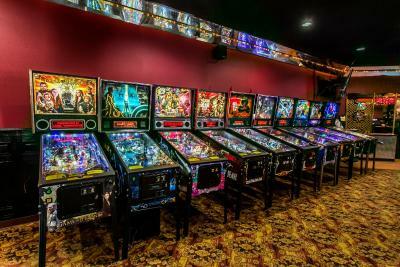 It has casino and costco. The room is good size and the site is clean. This is my third Christmas at this hotel and everything was perfect but the tow thing that was not. As always the stay at the Yellowhead is comfortable and great value. Big comfy beds. Even in bad circumstances the Yellowhead is a home away from home. Size of the room seemed larger than most and the comfortable beds. We have always had a very comfortable and awesome stay here but now that the new restaurant , DS classic grill, has opened on site, wow, their breakfast is amazing compared to many other places we have stayed, the price for fresh cooked breakfast food plus omelette station is beyond reasonable, we also had supper here as well and again the food was fresh, home made and great, this grill is just now another reason we will keep visiting the Ramada on the Yellow Head in Edmonton. Bed was extremely comfortable and room is quiet considering the many train tracks behind the hotel. 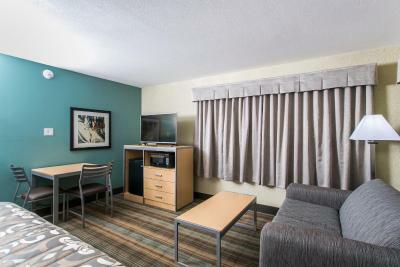 Ramada by Wyndham Edmonton Yellowhead NW This rating is a reflection of how the property compares to the industry standard when it comes to price, facilities and services available. It's based on a self-evaluation by the property. Use this rating to help choose your stay! 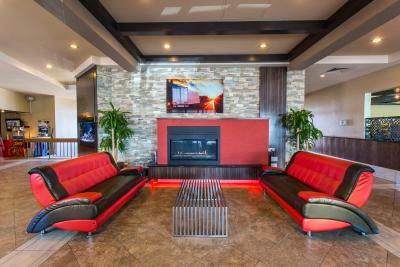 Featuring an on-site restaurant and billiards lounge, this hotel is just off the Trans-Canada Highway and less than 6.8 mi from downtown Edmonton. 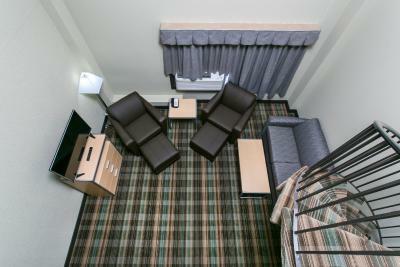 Ramada by Wyndham Edmonton Yellowhead NW offers rooms equipped with 27-inch flat-screen cable TV and air conditioning. A telephone and in-room movies are included. 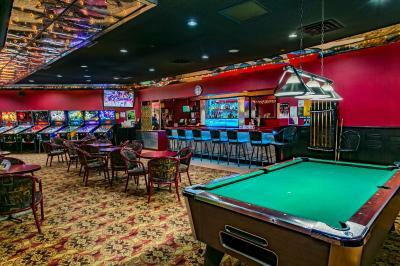 Guests of the Ramada by Wyndham are welcome to relax at Lady Luck Lounge with video lottery games and billiards. A liquor store and gas station are also open on the site. The hotel’s restaurant serves full menus for lunch and dinner. Specialties include sandwiches and seafood. 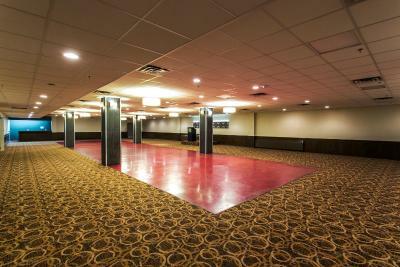 Ramada by Wyndham Edmonton Yellowhead NW is 4 mi from Coronation Park. Northwest Edmonton is a great choice for travelers interested in clothes shopping, sightseeing and family-friendly trips. 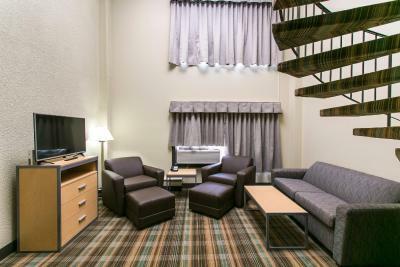 When would you like to stay at Ramada by Wyndham Edmonton Yellowhead NW? This suite has a microwave and air conditioning. This double room features a microwave, tea/coffee maker and flat-screen TV. 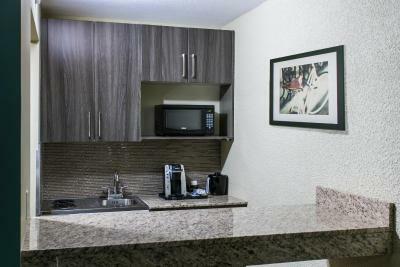 This double room features a microwave, air conditioning and tea/coffee maker. This double room has a tea/coffee maker, air conditioning and microwave. This suite features air conditioning and microwave. This quadruple room has a tea/coffee maker, air conditioning and microwave. 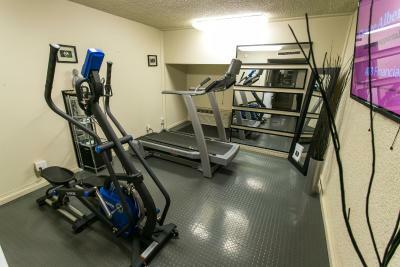 This quadruple room features a microwave, tea/coffee maker and air conditioning. The Yellowhead Inn has been a vital part of Edmonton’s industry since its construction in 1972. Since then, it has played host to the men and women who have laboured to make this province and this city as great as they are today. Many have come for the convenience of its location and the allure of its affordable room rates, and many more have come back for the friends they have made with the exceptional staff and guests. 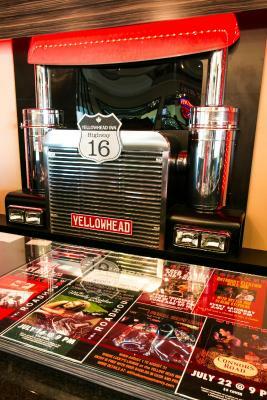 The Yellowhead Inn offers an experience that no other hotel can boast of. 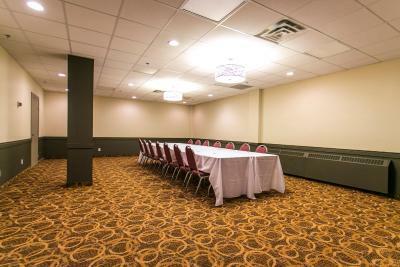 With 153 rooms, the Yellowhead Inn is among the largest of the hotels in West Edmonton. 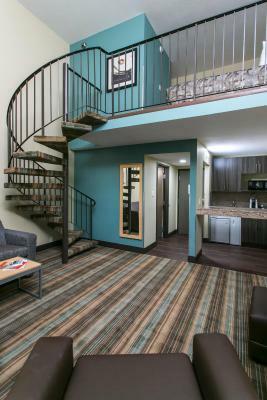 With rates as low as $85, our hotel is the most affordable and most reliable in the city. 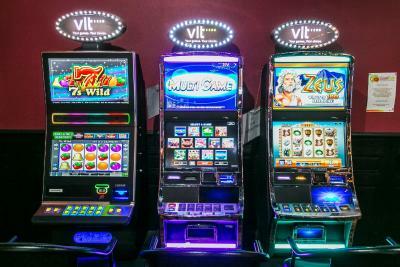 Its pride is also held in its numerous facilities, ranging from our full-service restaurant to banquet facilities, a bar, and brand-new VLTs in our lounge. It has been cared for with great consideration, as it boasts of its complete room renovations in the West Wing, the lobby, and public areas. 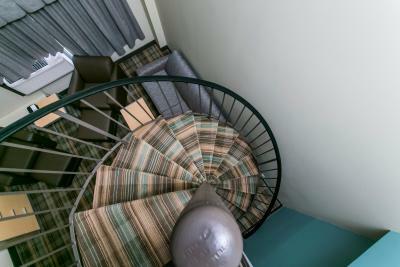 In time, The Yellowhead Inn will be among the newest hotels in the city, as we continue to plan for the complete renovation of every room and public space. And we will still be the most affordable hotel in the city. 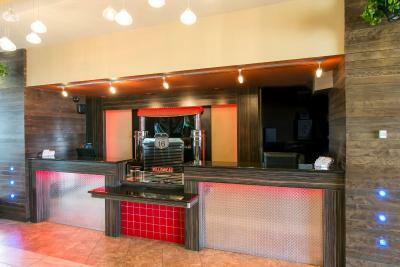 House Rules Ramada by Wyndham Edmonton Yellowhead NW takes special requests – add in the next step! Ramada by Wyndham Edmonton Yellowhead NW accepts these cards and reserves the right to temporarily hold an amount prior to arrival. Please note that the room, tax and a security deposit of $200 per stay, per room is due upon check-in for debit and cash paying guests. Everything was fine. That's why we stay at Ramada Yellowhead. Overall experience was good and would stay again next time, when I am doing business in that area. Staff was very helpful and enthusiastic. 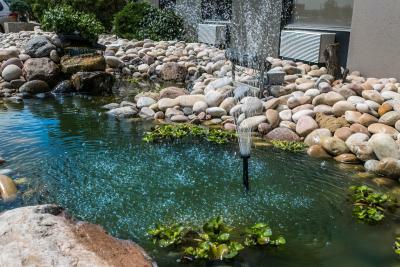 Location was perfect as I was meeting clients in the nearby areas. Hotel had some good rates and provided excellent value for money. Overall experience was better than good. Small television. Need a 50 inch tv. We did not get the room we booked. They continued to promise the room the next night and again not give us the suite we originally booked. I wish the windows opened--not a complaint, just a bonus. Room was spotlessly clean and the carpet in room was also very clean, which is almost a miracle because hotel carpets usually aren't. Will stay again if I come to Edmonton. I would have liked a better price, but the hotels below this price are really, really bad...so it was good value for money and the location was very convenient. 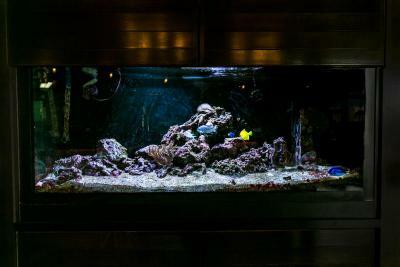 Cleaning staff do a great job and front desk staff also know their jobs, they're professional, service is great. The power plugins and lamps barely worked or had issues. Parking bad lots of vehicles that look like they were there along time.